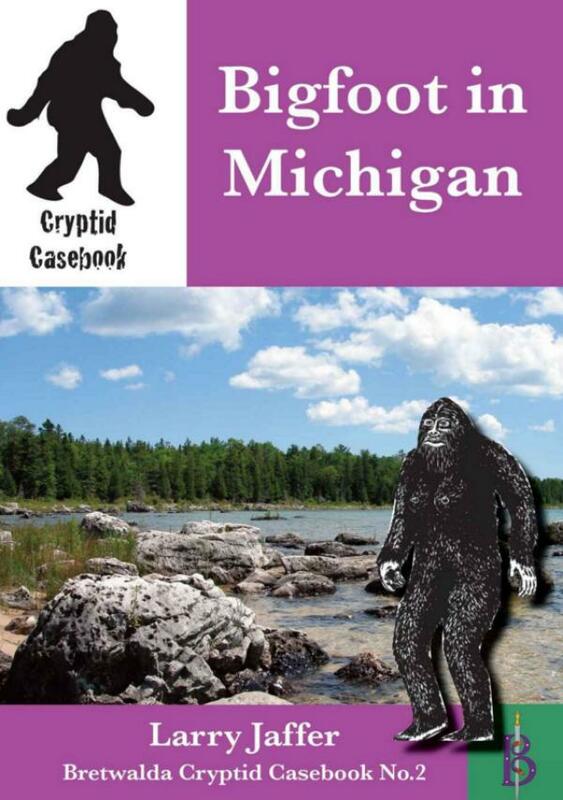 The gigantic upright ape known as Bigfoot or Sasquatch is usually associated with the Pacific Northwest, but over the past century and a half there have been a surprising number of sightings from the state of Michigan. On the opposite side of the Lower Peninsular at Monroe on 13 August 1965 the 17 year old Christine van Acker and her mother Ruth were driving along a woodland road. As they came around a bend they saw a large, hairy creature standing upright beside the road. The two women later estimated it to have been about seven feet tall and to weigh around 400 pounds. The long arms were clearly visible, but neither woman could remember much about its head or face. Startled, Christine tried to accelerate away, but in her panic stepped on the brake instead and stalled the car just feet from the Bigfoot. The Bigfoot walked up to the car, thrust its hand through the open driver's window and struck Christine on the head. Both women were screaming loudly, and the older woman leaned on the car horn in an effort to frighten the beast away. That seemed to work as it stepped back and then walked off. Christine found she had a black eye and other bruising on her head, but the women were otherwise unharmed. Some researchers have suggested that what appears to have been an attack by the Bigfoot on Christine van Acker may have been a response to what it thought was an attack on itself. From the Bigfoot's point of view a car had come out of nowhere, stopped just feet away and had perhaps glanced off the creature as it passed.